Hi everyone. 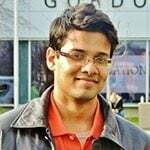 My name is Zain Shafique and I am an international student from Pakistan. 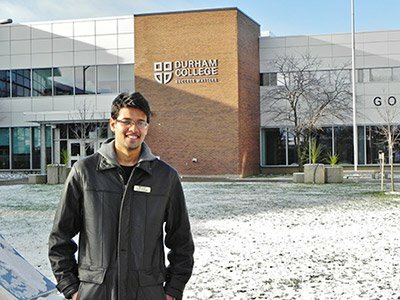 I am a first-year student in the Computer Programmer Analyst Program at Durham College, Ontario. I have been in Canada for more than 4 months now. It has been a wonderful, yet very different, experience for me so far. During this time, I have learned and encountered a lot of new and unique things which I have never experienced before. Canada is such a diverse place where you can find different people belonging to different ethnicities. It is actually pretty impressive how people have so many differences, yet have so much in common with their way of living. I have met many people and heard their stories of success, the condition in which they arrived here and how much they have changed in the past few decades. It is simply remarkable how much this land has given to them and I hope that coming to Canada will be the right choice for all of us. Canada has many interesting and beautiful sightsNiagara falls is among the very first places that I visited. If you guys haven’t yet, then you should! There are a lot of things you can do. For example, I have learned how to plan routes using Google Maps and public transport. That helped me discover new places and get information about them. As a matter of fact, sometimes I am guiding the locals to get to a particular place by using public transport. Amazing, right? The way they talk, the way the like to be called, the way they like to respond. I think it is very important to get used to because that is what we have to deal with in future. And this is where the majority of international students face difficulties. I was the same at first. I was a bit shy to talk to strangers and ask for help when I needed it, but as time passed I realized that I had no choice. So I started to ask people for help, which actually helped me overcome my fear of speaking and here I am! I have just finished my mid-terms and I have to say that this is something that I would definitely like to share with you all. Studying at Durham College is a whole new experience. The teaching style, teachers, services, opportunities are just great. Studies in Canada are NOT very easy so you better be regular and committed to your studies. I think apart from just studies other activities such as playing sports, taking part in community work or any other beneficial activities are important. It is good to get involved. Teachers are pretty helpful and if you have any concerns regarding anything you can always contact the staff or the mentors right away. I have been using these services and trust me they can be a lifesaver sometimes. So this is my journey so far…I am still learning and discovering many things in Canada and the most important thing that I have learned so far is that when you are facing a problem, you must speak. That is the only way you can get out of it. The weather is pleasant, cold and rainy at the same time. I’m looking forward to winter now! I wish you all good luck and a successful year ahead. Next articleChicago Lights Up with Holiday Cheer!